The Supreme Court bench of Chief Justice Ranjan Gogoi, Justice S. K. Kaul and Justice K. M. Joseph on Monday issued notice on the SLP preferred by the government of Maharashtra against the Delhi High Court order releasing activist Gautam Navlakha from house arrest five weeks after he and four other rights activists were taken into custody in connection with the Bhima Koregaon violence. The High Court had also quashed the transit remand order from Saket in Delhi to Pune, issued by the Chief Metrapolitan Magisrate, Saket, on the ground that there were grave procedural irregularities. “You are saying that as a consequence of the order of this court, the (impugned) order of the Delhi High Court could not have been passed?Don’t bring the Supreme Court in this....where personal liberty is involved, [unclear]....”, Chief Justice Gogoi remarked before issuing notice returnable in two weeks. 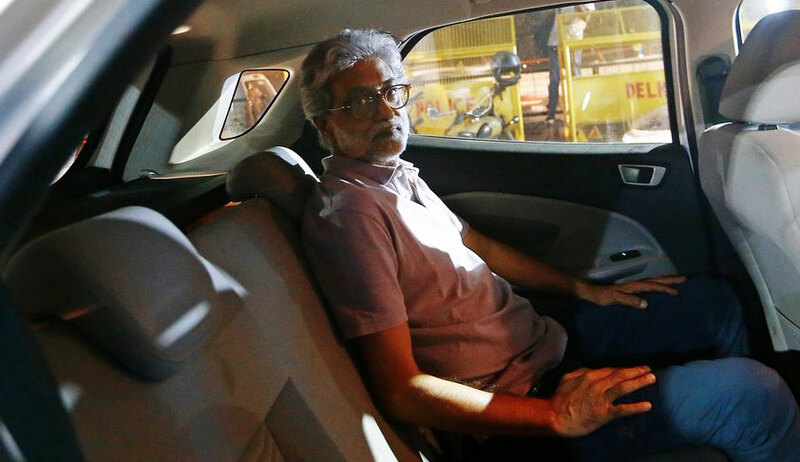 The Delhi High Court freed Navlakha from house arrest, five weeks after he and four other rights activists were arrested in connection with the Koregaon-Bhima violence in Maharashtra. The High Court quashed the transit remand order issued by the Chief Metrapolitan Magisrate, Saket, on the ground that there were grave procedural irregularities. The High Court noted that the case diary and FIR in Marathi, a language not known to the accused and the Magistrate, were furnished before the Magistrate, and hence the Magistrate could not have entered satisfaction regarding the necessity of remand. It was also found by the High Court bench of Justice Muralidhar and Justice Vinod Goel that grounds of arrest were not duly informed to Navlakha, and that he was denied proper legal aid.